Author of THE APOLLO ACADEMY series. 35 WORD PITCH: The Renaissance Faire circuit is like being frozen in time, but musician Daniel and his brothers must let go of the past they’ve been trying to escape, if they're ever going to build a future. Today I lost my brother. Lost him, because I was thinking about meerkats while we took our last tramp through these northern Virginia woods. Lost him, because even though I don’t quite believe it’s true, we’re finally going home. Soon as I find Sully. I scan every inch of the forest, but there’s no one there. Just more forest. “Sully, catch up! It’s getting late,” I say. I listen hard for a response—a footfall, a cry for help—but all I hear is a breeze tousling the tree leaves and the whispers of gnats chasing each other across my face in a game of sweat-tag. “Sully?” I call again, trying to mask the panic that rises from my stomach up into my throat. I backtrack the way I think we came, but there’s no path. We were making our own. That’s why they warn you to keep on the path. If I’m not careful, I’ll find myself as lost as Sully. There’s nothing for it but to go back to camp, enlist the help of the others, face my father. I make my way out of the woods to the field where we’ve been camped for the past month. Everyone else has already left. Our instruments, amps, and cords have all been stowed inside the camper. And my father’s in a temper, like I knew he would be. “I said eight o’clock sharp, din’t I?” he says, his Scots-Irish brogue thick on account of his ire. Kimberly writes young adult and new adult science fiction. She holds a Bachelor's degree in Aeronautical Science, which basically means she's kind of a geek and loves flying airplanes. Naturally, her books tend to include aviation, hot flight instructors, aviator glasses, and let's not forget kissing! When Kimberly's not writing or reading, she's hanging out with her husband,four-year-old son, and two dogs. 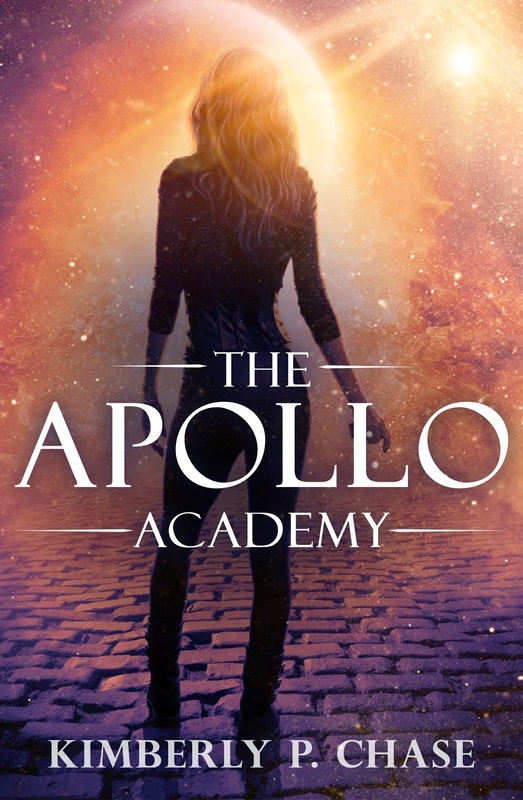 Her debut novel, The Apollo Academy, released August 6th, 2013 and is now a Writer's Digest Award Recipient. Pitch Wars Update and Twitter Pitch Party.